You've got a good website. You've even setup a Facebook page, and you're considering Twitter and Pinterest. And now we're throwing a blog into the mix. Do you really need all this social media? Maybe not. You don't want to treat social media tools as the flavor of the month. Each application must make sense and must fit within the context of your overall marketing strategy. While it's important to utilize social media, you may not need a presence in every new and upcoming social media idea. A blog can be the anchor of your Social Media Marketing Strategy. Blogs are not new. Originally called web logs, they were an online version of a journal. They go back to the early days of the internet – not just before Facebook and Twitter, but even before commercial websites. Today, a blog is the channel that best delivers content to your present and future customers. Your blog is the voice of your company. It not only drives traffic to your website, it's here where you can carry on a conversation with your customers, show your expertise, and build trust. If you blog consistently, you will eventually establish yourself as a thought leader in your field. Your blog is community building, and can also serve as a customer relations vehicle. Blogs have a long shelf life. Search engines will continue to deliver viewers to a relevant blog site for months, even years after it has been published. Facebook and Twitter content are not followed by search engines and if your Facebook friends miss something you posted yesterday, they may never come back to it. Everyone can access your blog. Only people who “Like” or “Follow” you on Facebook and Twitter will see what you post there. Your blog site can give you fresh customers daily as long as their viewers out there who are looking for the content you share. 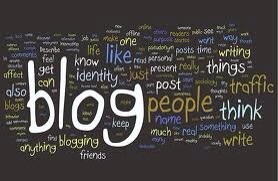 Blogs are a great equalizer for an independent business. A blog can even create a competitive advantage over the big box stores. No matter how big or powerful the megastore is, you are on an equal footing when it comes to a blog. In fact, as an independent you may have an advantage. Your operation has its own personality, and you have an opportunity to communicate that unique point of view. By definition the big box chain store is not unique. YOU own your blog. The content you post on Facebook and Twitter is dwarfed by all the posts before and after yours. And now there are even ads inserted on YOUR Facebook and Twitter pages. Ultimately, what your Facebook page looks like is decided not by you, but by Mark Zuckerberg. Your blog is yours alone. Blogs will help you make money. They send customers to your business and your website. The statistics are compelling. 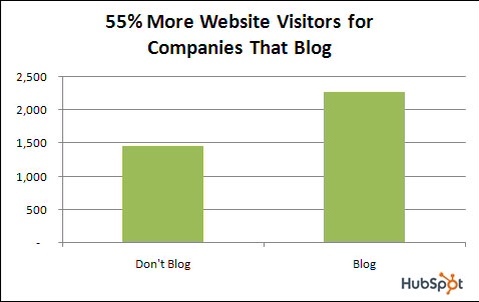 Overall, websites that are associated with blogs get 55% more traffic than those who don't blog. Blog readers are 30% more likely to buy products or services, and they spend 6% more than non-blog readers. So, how do you begin blogging? There's the technical side and the authoring side. If you have a website provider, it's possible that you may already have a built-in blog template. If so, then you should contact your provider and have it enabled, and the link added to your site. Then you need to determine how and who is going to provide your blog content. The blog itself is going to be inexpensive, but somebody needs to devote some time to developing and posting the content 2-3 times a week. I'd be happy to work with you to get your blog up and running, and I'm an experienced writer and can author your blogs if you need this help. Drop me a line or give me a call, and we can discuss without obligation. This entry was posted in Business and tagged ideas, marketing, retailing, social media. Bookmark the permalink.